Going back to school has never been so enjoyable! 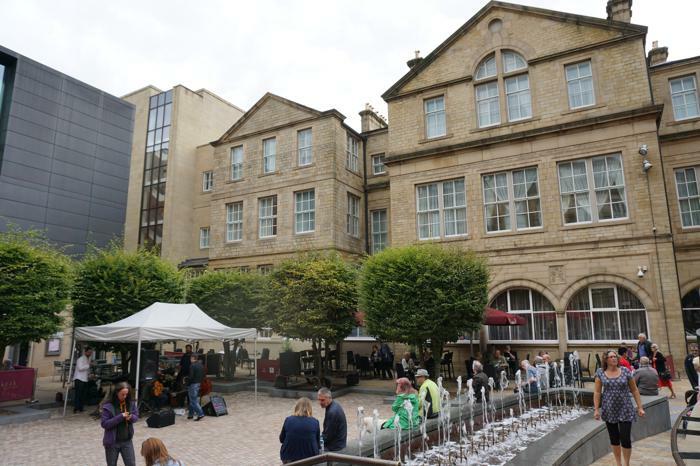 The Leopold Hotel is a former Grade II listed Boys Grammar School, Sheffield’s only four star boutique hotel, and a member of the Small Luxury Hotels of the World. Pretty impressive for a city best known for steel! 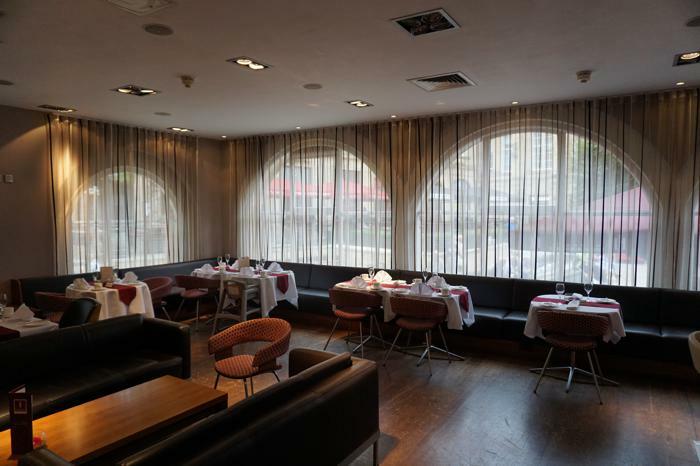 The grandiose, Victorian exterior hides a glamorous interior, of regal arches, quirky features, sumptuous furnishings, and a stylish bar spilling into Leopold Square, in summer time. The old merges effortlessly with the new, with lovingly restored, original features, such as the ornate stairwell, preserved school bench and coat pegs lining the walls, combined with pictures of schoolboys hanging in the hallways. It’s not difficult to imagine hoards of schoolboys clattering through the hallways, racing to lessons, or playing pranks. Once a month former pupils get together to reminisce over drinks in the bar, and the stationery room even has a Victorian toilet roll holder for room decor! How cool is that?! Entering through the impressive doorways of Leopold street is like taking a trip in a time capsule, as you are transported to an era of long drinks at the bar, jazz background music, and leisurely afternoon teas. I half expect The Great Gatsby to wander in for a G & T.
Forget the gym (there’s a small one in the basement but one missed session won't hurt!) and instead head to the bar. It’s all burgundy and brown hues, velvet drapes, gold urns, and leather sofas overlooking Leopold Square. It oozes sophistication, with funky, modern lighting, and stunning decorations created from strategically arranged Champagne bottles. Glistening gold Prosecco bottles are beautifully crafted into a masterpiece of tantalising temptation. Guests sip coffees and wine on the terrace, enjoying jazz and blues from the summer stage in the centre of the square. Some are even bold enough to take to the floor for a dance, providing free entertainment for the milling crowds. The bar serves meals daily, but for a treat opt for afternoon tea. Presented on a sleek silver, and white china platter, cute sandwiches adorn the lowest tier, cream scones the middle, and the crème de la crème (literally) are the mouth-watering, chocolate and coffee buns decorated with chocolate icicles, which top off the ensemble. You can wash it all down with a selection of teas, coffees, Champagne or Prosecco. Unfortunately our bellies were simply not big enough to cope with all that indulgence (I recommend sharing between two, or starving yourself beforehand) although I did wonder if it would be considered lowly to ask for a doggy bag. 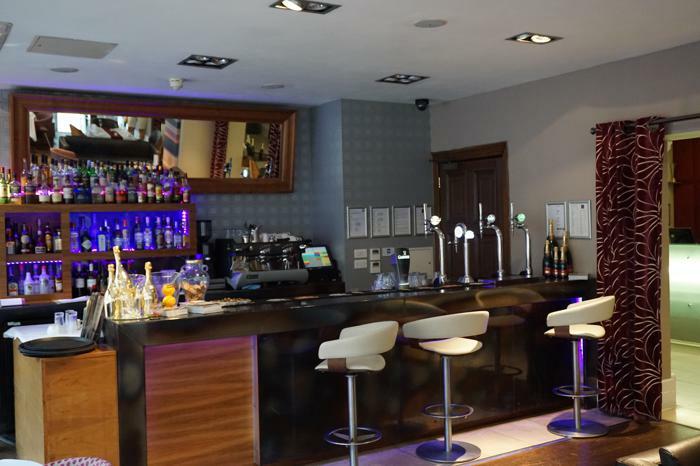 The hotel is in a superb location, surrounded by a variety of lively restaurants and bars, from Indian to Brazilian, Italian to Cuban in Leopold Square, the former children’s playground. It is also just minutes from other upmarket eateries in the Peace Gardens, or the more lively bars of Division and West Street. Wherever you head, you won't have far to go to lay your head at the end of the night given the hotel's central location. 90 en-suite bedrooms are decorated in shades of red and brown, with rich velvet motifs on the chairs, deep red cushions and throws, and neutral walls. 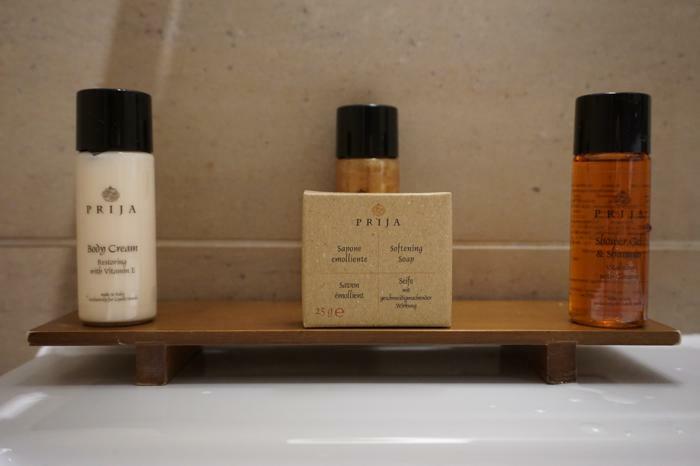 Crisp cotton sheets, and a selection of pillows make for a comfortable night’s sleep, whilst the modern bathrooms offer aromatic Prija toiletries, perfect for a relaxing soak before a night out. This hotel offers luxury indulgence without a luxury price tag. 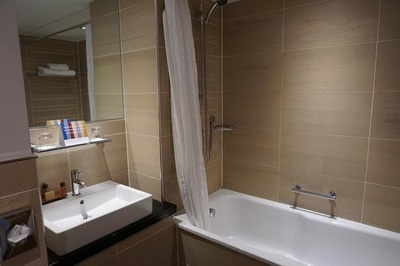 Rooms start from £65 for a standard Leopold room, and £99 for a mezzanine suite. The extra £34 is worth the splurge, as a spacious lounge downstairs (big enough for at least a few cartwheels), is complemented by the upstairs, mezzanine bedroom. Now as you can probably tell, I love this hotel for its warm welcome, slick bar service and its heritage. However be warned, if you are visiting on a weekend when a function is taking place, you may not wish to retire to your room before 11.30 when the music ends. Two floors up, we could feel every beat of the music from the anniversary party below. Fortunately my travel survival kit includes an eye mask and earplugs to drown out unwelcome noise. You may wish to invest in some to be on the safe side, or alternatively you could simply party hard and return after the revelry ends. There is no parking on site, but it’s only a short walk to the car park. 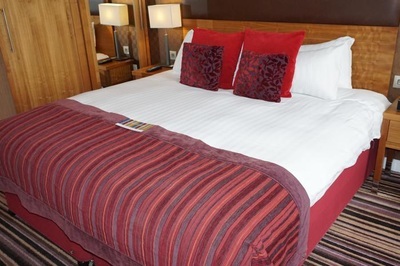 Guests benefit from a discounted rate of £7 overnight. There is also a loading bay immediately outside, where you can unload bags, if you don’t wish to carry them. 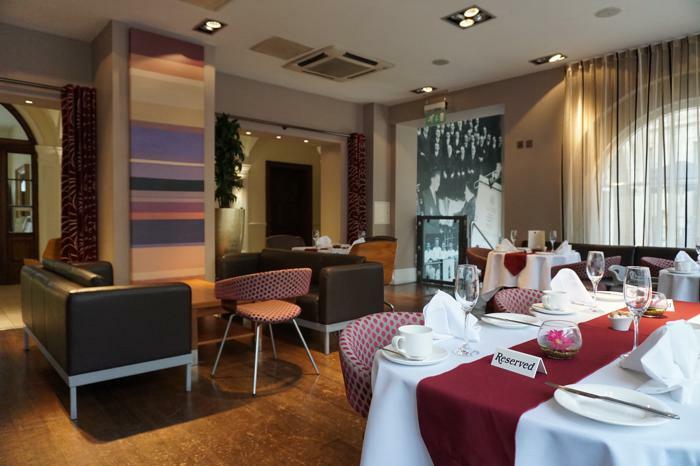 Continental (£7.95) and full English breakfast (£12.95) is available in the basement dining room. It’s full service so you may have to wait, although there are plenty of fruits, cereals, pastries, cheeses and meats for you to nibble on while your breakfast is being prepared. This hotel is a great option for those seeking a city centre location that is unique and quirky. 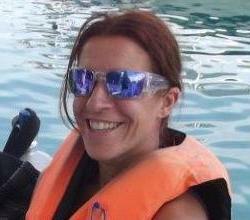 It appeals to people of all age groups, and is great value for discerning travellers.